We had a great Easter in Nelson. 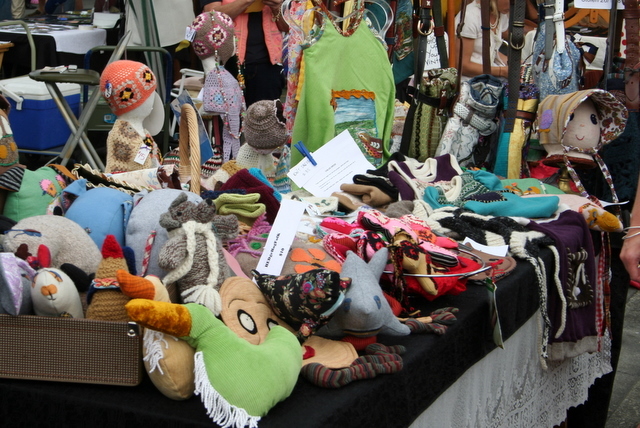 Wonderful weather, great scenery and inspiring craft-browsing. Plus lots of yummy food and local wine. The main thing I was looking forward to was the Nelson Saturday market and it did not disappoint (lots of pictures at the end of this post). Melissa (who used to live in Nelson) recommended the food stall that sold stove-pot coffee and traditional Dutch apple donuts (OlieBol). Deeelicious. 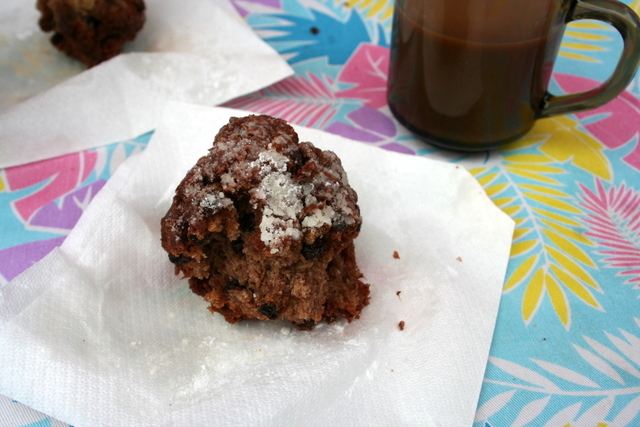 It was a great way to start the morning, squashed at picnic tables next to the locals enjoying their weekly donut fix. Other stand-outs at the market included a stall called Vintage Heaven, selling great bags and clothing made from designer fabrics, and Atticus Finch (also recommended by Melissa), selling quirky softies and bags. 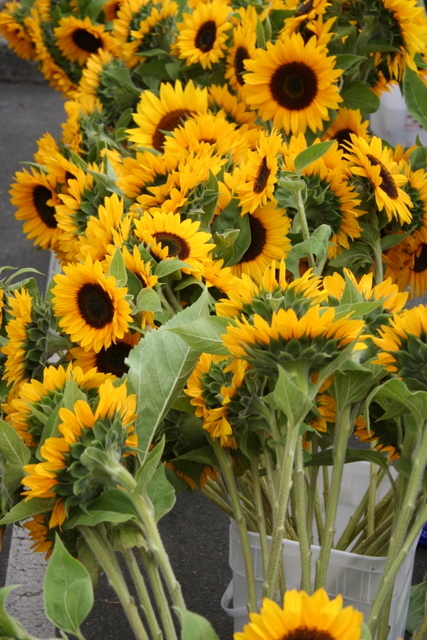 As well as these stalls there were plenty of others selling original clothing, hand-knits, softies, local pottery and paintings, jewellery, hand-made soap, fresh flowers, plants, gourmet preserves, local sheep’s-milk cheese, organic vegetables…the list goes on. The market had a really nice feel to it, almost festival-like, and there seemed to be a lot of locals out doing their Saturday shopping and catching up with friends at the market. I could quite happily have spent several hours just people watching. Aside from the market, I also made it to a few other galleries and shops in Nelson itself. 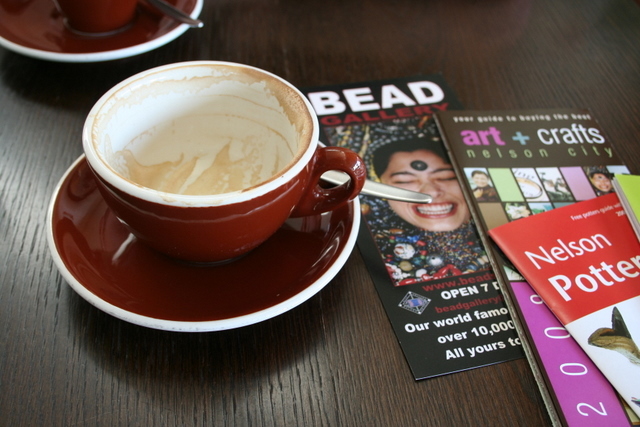 If you are into beading, I highly recommend a visit to the Bead Gallery - they have more beads than I have seen in one place before, though it pays to go there with an idea of what you want to buy, otherwise it is easy to get overwhelmed. And the South St Gallery has a great collection of local pottery all in one place. We had a rental car for the weekend so we managed to get out and explore the surrounding area including heading over to Farewell Spit one day and also to some Marlborough Vineyards another day. We arrived back home yesterday afternoon refreshed after our few days away, though Air New Zealand put a bit of a damper on it by losing Alex’s bag. Fortunately it turned up late last night and a courier dropped it off to our place at 11pm, looking none the worse for wear after its extended journey. 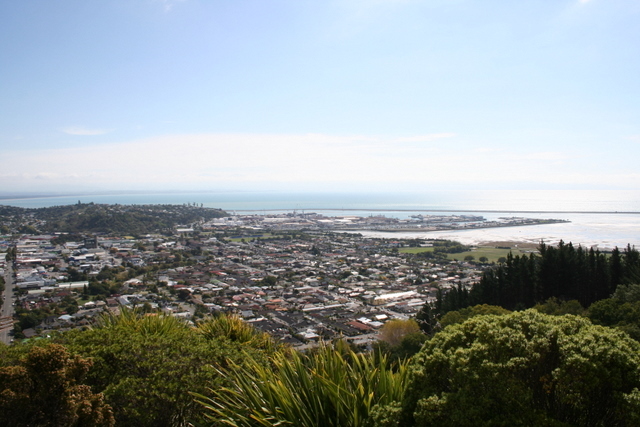 what a nice weekend, nelson looks like a good place to visit. that dutch apple donut just made me very hungry so off to the kitchen with me! Thanks for the nice comment on my blog. Nelson is such a lovely place to visit aye? i'm so glad you had a nice time! i'm trying very hard not to feel homesick by your post.